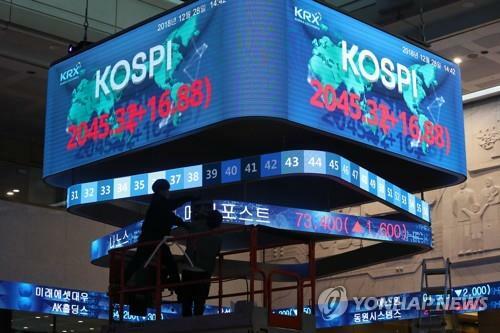 SEOUL, Feb. 11 (Yonhap) -- Funds invested in Korean stocks dropped sharply last month as investors moved to lock in profits from the market's bull run, data showed Monday. The move came as the country's key index jumped 8.03 percent in January, fueled by strong foreign buying. Stock fund redemption generally increases when the market is in a bullish mode. "The outflow from the stock funds can also be attributable to investors' growing preference for other financial vehicles, particularly to exchange traded funds (ETFs)," said Kim Hoo-jeong, an expert at Yuanta Securities. Representing a basket of stocks that reflects an index, an ETF can be traded on stock exchanges. That very feature allows more flexibility in making investments and leeway for risk hedging.